Boeing’s customers for commercial and government satellites have made their needs clear: bring us flexible high-value solutions, and do it faster. Given those mandates, Boeing has taken key strategic steps to bolster its space and satellites capabilities and reduce the time it takes to field them. These customers are operating in market environments that are going through major changes of their own. The expected growth in new satellite applications supporting machine-to-machine communications and the Internet of Things (IoT) has them asking which new capabilities they will need to have on orbit. The tantalizing possibilities associated with proposed new Low Earth Orbit (LEO) constellations are many, but questions persist: how many will be built, how long will they take and will they succeed? These uncertainties have, until recently, held most major commercial satellite operators back from buying more satellites to replenish their Geosynchronous Orbit (GEO) fleets, despite a great need to do so. A similar pause in satellites acquisition on the government side also now seems to be ending, with new programs of record emerging that would acquire protected satellite communications capabilities and, for some, possible earth-to-space and inter-satellite laser links. A number of recent investments are advancing Boeing’s ability to provide such world-changing, mission critical satellite capabilities to customers in both of these markets. In 2018 Boeing acquired El Segundo, California-based Millennium Space Systems, a leading provider of small satellite solutions. Boeing’s HorizonX Ventures also made strategic investments in BridgeSat Inc., a Denver-based optical communications solutions company, and in Accion Systems Inc., a Boston-based startup pioneering scalable electric propulsion technology for space vehicles. • Millennium’s small refrigerator-sized satellites can pack multiple space mission solutions into a much smaller package that is more affordable and easier to launch. These Millennium platforms, and the company’s expertise in avionics, structures, electronics and antennas, will complement Boeing capabilities and ultimately enhance our product offerings. • BridgeSat has developed a global network of optical ground stations that will allow satellite networks to more securely and reliably transmit large amounts of data to and from space. By investing in companies with advanced optical communication technologies, we aim to accelerate space-qualified optical communication around the world. 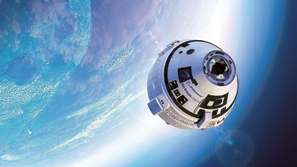 Artistic rendition of the Boeing Starliner CST-100 capsule. • Accion’s expertise in innovative space vehicle engine technology featuring non-toxic, ionic liquid propellant and dime-size thrusters will increase the lifespan and maneuverability of satellites and other vehicles in space. 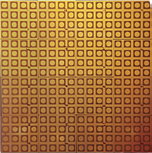 Accion’s technology is smaller, lighter, and more cost-effective than traditional ion engines and can serve as an efficient way to keep constellations of satellites in orbit and propel spacecraft designed for interplanetary exploration. Clearly, Boeing sees that satellites — and technologies such as these that make them go — are an exciting and important part of its current and future space portfolio. It’s a portfolio that already included advanced space and communications satellite systems for military, commercial and scientific uses, with advanced digital payloads, all-electric propulsion and 3D manufacturing capabilities for spacecraft that can operate in the LEO, MEO (Medium Earth Orbit) or GEO planes. We are also expanding our product portfolio in support of human space exploration. The Boeing Starliner CST-100 capsule will soon take astronauts and cargo to and from the International Space Station (which Boeing also operates). Looking deeper into space, NASA’s Space Launch System will provide a critical heavy-lift capability powering people and cargo to farther-off destinations such as the moon or Mars. Boeing is the prime contractor for the design, development, test and production of the SLS launch vehicle cryogenic stages, as well as development of the flight avionics suite. Meanwhile, Boeing has been transforming its satellites manufacturing capabilities and evolving designs to allow faster development and testing of satellites whether they are built as one-offs or in multiples for entire constellations. This latter group includes the seven MEO satellites that Boeing is building now for SES Networks’ O3b mPOWER system. Boeing is developing cutting-edge technologies for mPOWER that will be incorporated into future spacecraft supporting a potentially wide range of programs and customer needs. As the year drew to its close, Boeing shipped WGS-10 to prepare for its upcoming launch. We also submitted a proposal for NASA’s lunar orbital gateway. Both designs drew heavily on advanced satellites capabilities, such as flexible digital payloads and solar electric propulsion. By coupling proven technology from Boeing’s previous programs with next-generation technologies and processes, we will continue to offer innovative design solutions to meet customer needs. Today, people around the world are excited about space exploration again. The many developmental efforts aimed at less expensive, easier access to space should lead to interesting new options for spacecraft owners and operators wanting to get payloads on-station or facilitate space tourism. As Boeing moves ahead into 2019, although a lot of uncertainty remains, I know two things for certain. First, the next wave of content and data delivery systems will require satellites that are lighter, easier to maneuver and maintain, more capable and more affordable to develop, manufacture, launch and connect. And secondly, Boeing will continue to build the future of this satellites revolution and advance space-vehicle and satellite capabilities to generate value for all customers, accelerate space travel, and improve the lives of people around the world. Dr. Bruce Chesley is Senior Director of Strategy for Boeing Space and Launch, where he leads a team charged with analyzing the marketplace, establishing a growth strategy and helping shape the future direction of the Boeing Space and Launch division, which includes the International Space Station; government and commercial satellite systems; and Boeing’s work on its CST-100 Starliner Crew Capsule and the NASA Space Launch System. An author of more than 20 technical articles and book chapters on space systems engineering and satellite design, Chesley is a vice president of the International Astronautical Federation Bureau, a senior member of the American Institute of Aeronautics and Astronautics and a member of the American Astronautical Society. From the west coast of the U.S., you can see the future... sometimes, you look back over a year and a number of things are recalled that seemed important or influential for your business, items that would shape the coming years. And then, sometimes, you look back and realize that there was just one event that really made a difference as to how you see your future. For several years now, a good friend of mine had been trying to induce me to attend the Satellite Innovation Symposium. For one reason or another, I’d always declined. This year, though, he was particularly persuasive — and so it was that I found myself in Mountain View, California, during the first half of October of this year. Before I continue, though, I should point out that satellite operators have, historically, been great customers of Bridge Technologies. Our monitoring and analysis solutions are widely deployed within their networks, in headends. However, over time, as headends have become larger and fewer, we’ve seen a shift in the amount of business from those operators. Inevitably, we at Bridge lost track to a certain extent of what was going on in the satellite industry. To say that the Satellite Innovation Symposium was a revelation would perhaps be something of an understatement — this event was pretty much an epiphany. There I was, among the good and the great of the satellite industry. The majority of those present were C-level executives, from all parts of the satellite ecosystem — and the excitement and enthusiasm in the room were almost tangible. One of the things that particularly caught my attention was the sheer size of the industry, which is worth approximately $300 billion a year. By any standards, that’s huge. No less interesting was that, of that $300 billion, only around $6 billion/year is spent on launches — which, to the outsider, is the most visible part of what the industry does. Approximately $130 billion is spent each year on the ground infrastructure that supports what’s orbiting the Earth. The other thing that particularly caught my attention is that this is an industry that is clearly in investment mode. Why the investment? Because this is an industry that sees itself as fulfilling a new role in the future. I was reminded that, at IBC 2017, I’d been somewhat aware of these stirrings in the industry. At IBC 2018, those stirrings had become even more visible, with at least one major operator talking about his company’s need to re-invent itself — not thinking of itself as a satellite company, but as a communications company. Another talked about their ambition to become the Swiss Army knife of transmission. I also heard one of those acronyms that the industry loves: ATAWADAC - anytime, anywhere, any device, any content. That’s defining the direction in which we’re heading. Not only will OTT consumption overtake traditional content consumption within a couple of years but, because content is now more readily available, we’re consuming more of it — and that’s especially true for live events, with their unique demands in terms of peak loading, minimal latency and so on. Judging by the mood at the symposium, that’s music to the ears of satellite operators. It seemed clear to me that being instrumental — the preferred choice, in fact — in delivering media is where the industry sees itself. 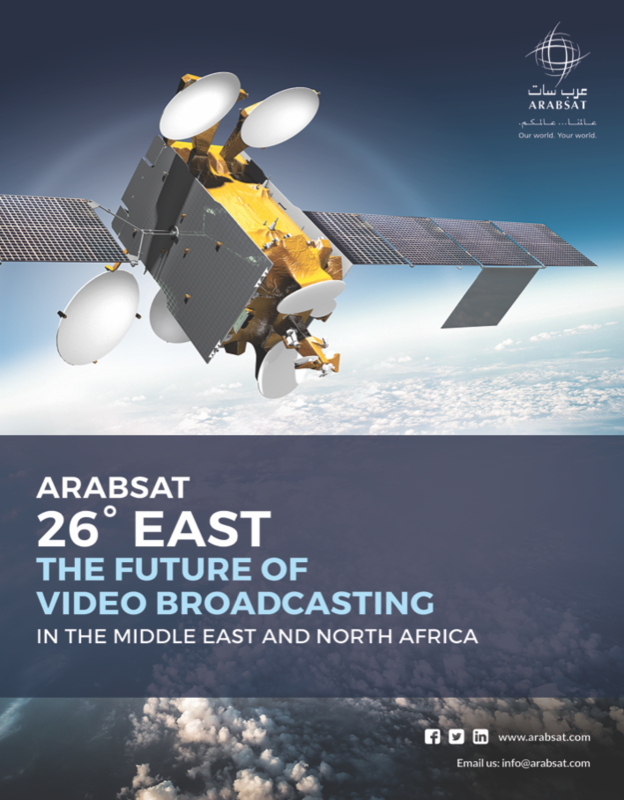 The future will leverage the innate strength and competitive advantage that satellite networks enjoy in that they can truly offer wide area distribution in a way that traditional telcos cannot accomplish. I also sensed a real appetite among those I spoke to for a future where satellite is only part of a solution that will deliver the content and the data to where it’s needed — but a vital part of that scenario is the use of whatever network technology is appropriate to accomplish the task at hand. The concept of a “space-based network distribution company” springs to mind. If you add content distribution to the explosion in demand for network capacity when the IoT moves from its current nascent stage to becoming part of the fabric of everyday life, it’s hard to be anything other than hugely positive about the future of the satellite industry. The reason that the Satellite Innovation Symposium left me as enthused and excited as the delegates obviously were is that, if I’m reading the runes correctly, the satellite industry has become extremely significant to us at Bridge Technologies — again. I’m sensing there will be a huge expansion in their networks, and with that expansion will come the need for the in-depth monitoring and analysis capabilities on which Bridge Technologies has built the business. Our satellite and IP probes are being widely deployed by customers around the world, with many broadcasters enthused by their unique capabilities that help them ensure optimum deliver of content from source to destination. We have even had opportunities to specifically target other niche areas such as the offshore maritime segment with VSAT carrier quality monitoring. So: not so much a look backward at 2018, but more of a look forward to 2019 — a year wherein we’re going to be fascinated in observing the satellite industry position itself as the network provider of choice for pretty much any organization looking to move any kind of data. And: we at Bridge look forward to becoming their monitoring and analytics provider of choice. With hindsight, I think that being at the Satellite Innovation Symposium was one of the most significant events of 2018 for me. The event was a real eye-opener so far as the future of our industry is concerned. I’m glad I finally accepted that important invitation. Simen K. Frostad is Chairman and Co-Founder of Bridge Technologies. With 22 years of industry experience, Simen founded Bridge Technologies in 2004 after creating the world’s first IP/MPLS contribution network for Scandinavian sports coverage. Simen had previously built the first multi-camera hard disk recording system for episodic drama production in 1998 and the first nonlinear sports editing facility during the 1994 Winter Olympics. In reflection, 2018 was, without question, a breakout year for Bye Aerospace. The company flew two ground-breaking prototype aircraft for the first time — our two-seat, all electric, flight trainer called “Sun Flyer 2” and a demonstrator prototype for our solar-electric “StratoAirNet” and “SOLESA” families of medium-altitude solar-electric aircraft systems. Bye Aerospace, a privately-held company I founded in 2007, is an innovator of sophisticated aerospace technology that is applying innovative solar-electric propulsion, advanced aerodynamics and mechanical systems to design, build and market aerospace products that offer significant increases in performance. The company’s roots run deep in the broad spectrum of advanced technologies based around the core benefits of clean electric and solar-electric propulsion. StratoAirNet and SOLESA are intended to provide support for long-endurance, commercial, geospatial and communications requirements, including patrol, observation, utility, mapping, precision agriculture, search and rescue and surveillance missions. SOLESA will be piloted, performing similar patrol and survey missions for shorter flight durations. SOLESA will also provide a research and development test platform for new customer payloads. StratoAirNet will be a longer-endurance UAV. Both will offer unique advantages over traditional systems, including lower unit cost, lower heat and noise signatures, lower operating costs and enhanced utility. SolAero (SolAeroTech.com/) is collaborating with Bye Aerospace, integrating their advanced high-efficiency solar cell technologies on the advanced graphite composite wings. 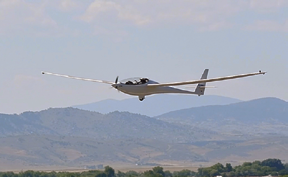 Given the advantages of SolAero’s solar cells (more than 30 percent average minimum efficiency) and the broad spectrum of advanced technologies based upon the core benefits of clean, electric propulsion, StratoAirNet has the potential for weeks, and eventually months, of flight endurance. This provides new communications, geospatial and ISR market opportunities at a small fraction of the cost of conventional UAVs, with ops flexibility, hardware access (50 lbs. payload capability) and low latency that is impossible for traditional commercial satellites to accomplish. LEO satellites are capable platforms, but they are expensive and lack the persistence and flexibility of UAV aircraft. They are also limited by slant ranges and repositioning; a problem that can be mitigated by altering flight plans. In terms of cost efficiencies, we anticipate the StratoAirNet UAV’s aircraft cost will be 1 to 10 percent of traditional space launch and small satellite costs. Our progress with StratoAirNet and SOLESA is notable; however, the company must continue to grow our human capital and financial capital resources to reach our ultimate goal of commercializing our programs. Fortunately, we have had success recruiting individuals with electric propulsion and design engineering experience from a variety of industries, ranging from ground transportation to traffic control to nuclear submarines to aircraft of all sizes. At Bye Aerospace, we see this evolution as an opportunity to challenge the traditional ways of moving data quickly and efficiently. We believe a whole new awareness of what is possible will be realized in both the transfer of data and in global communications. This awareness of possibilities will be enabled by innovations in air, ground and space technical devices. As a result, Bye Aerospace will continue to look at the realm of possibilities at all levels of the atmosphere and near-space. One area of potential efficiency improvement is to replace rocket-launched satellites of all sizes with low-latency, capable atmospheric aircraft that can be recalled, refurbished, upgraded and re-deployed. The fusion of advanced concepts and technologies, both in the public domain and developed by Bye Aerospace, have resulted in our piloted SOLESA and StratoAirNet UAV designs. 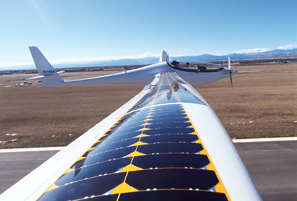 Both use long “glider-like” low drag laminar flow wings and highly efficient solar-electric cell technologies, which combine to provide extreme flight endurance and a satellite-like capability at a multi-fold cost benefit and without satellite limitations. Several short test flights for the StratoAirNet technology demonstrator prototype for the StratoAirNet family of aircraft systems have taken place in northern Colorado, with a focus on data collection for take-off and landing performance, climb rate, aero-efficiency and motor and battery operations. Future tests will focus on airborne motor cruise efficiency and solar cell energy collection data. Early performance data is encouraging, exceeding each parameter in the test flight plans. In closing, Bye Aerospace acknowledges that other projects similar to StratoAirNet and SOLESA are being developed by other companies, and we applaud their efforts. Why? Because we not only encourage innovation, we demand it. Quite simply, we believe our company and our industry must innovate and achieve new efficiencies to survive and to thrive. George Bye is the Founder and CEO of Bye Aerospace, named the “Small Business of the Year” for 2018 by the Denver Business Journal and one of the “Top 50 Colorado Companies to Watch” in 2017. Among his aircraft designs are a small solar-electric unmanned aerial vehicle (UAV) called Silent Falcon. George is an ATP rated pilot with over 4,000 flying hours. More info at www.GeorgeBye.com. 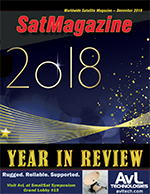 Pricing pressures from tariffs and global uncertainty reigned supreme in the company’s niche marketplace this year; nevertheless, after multiple years of flat antenna sales, 2018 now appears to have been the year that the corner has officially and positively turned for C-COM Satellite Systems. A resurgence in several different markets, regional and vertical, created novel ,unexpected growth. Major sales into Africa, Asia and North America, in a vast array of different segments, drove C-COM to achieve a near record sales quarter in Q3 and pushed the firm toward a strong finish for the fiscal year, which closes in November. C-COM began the year with some positive momentum — the company received new operator approvals from Optus Satellite Networks in Australia and Hughes Network Systems in the USA. The latter certification has significant long-term appeal as a result of the planned, global Jupiter constellation that expects to offer significant Ka-band throughput across the globe for a multitude of enterprise/government and commercial customers. 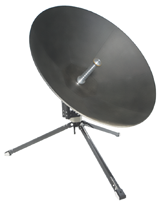 As of this writing, C-COM is the only mobile antenna approved for use over the Hughes’ Jupiter service and the expectation is to experience incremental sales over this broadband service during the coming quarters. 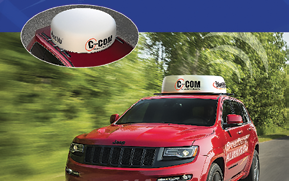 C-COM continues to innovate, with new and improved auto-acquire antennas hitting the market throughout the year. 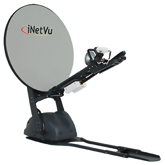 Most notably, the iNetVu 980, the classic Ku-band system, sold several thousand units in dozens of countries and was retired to be replaced by the company’s next generation iNetVu 980+. The newest model of the 98 cm. motorized driveaway antenna offers users a lower stow height, finer pointing accuracy, 24V motors, no actuator, zero maintenance, and a near zero backlash experience. The new systems are also Ka-band upgradeable (to most services) and come with the first-class sales and technical support that C-COM partners know and appreciate. Another new model of antenna introduced in 2018 was the first iNetVu backpack (manpack) antenna system: The iNetVu MP-80 and MP-100. These 80 or 100 cm. systems, which are highly portable and fit into a single case, are available either with manual pointing or as fully motorized and automatic solutions. The global premier of the first motorized manpack occurred at AfricaCom in Cape Town in November of 2018 — the feedback was exceptional. C-COM expects to see incremental sales of this system into broadcast, military, and government markets in 2019. C-COM’s most exciting developments in 2018 came in the form of the firm’s long-term research and development into an electronically steerable phased array antenna system. This is a key step forward in the progress toward a Comms-On-The-Move (COTM), wafer thin, modular and conforming, Ka-band antenna. C-COM and partners at CIARS at the University of Waterloo are developing the next size antenna, a 32x32 subarray comprised of 1,000 elements for initial testing over a LEO constellation. The results are expected early next year. The company also received, in late November, the firm’s first patent for the invention of a low cost, low power and low insertion loss tunable phase shifter technology. The developed antenna system uses a unique technique to adaptively control the antenna polarization in such a way that a prescribed quality of polarization can be guaranteed over the entire scan range. Furthermore, the beam-processing unit and the antenna intelligent module can generate more than one radiation beam simultaneously and support multi-beam-tracking, a highly desired functionality in emerging LEO mobile networks. By using a unique blend of low-cost but flexible/reconfigurable hardware components and highly intelligent software, the modular technology platform developed at CIARS provides the most cost-effective evolutionary path toward any antenna system configuration with a wide performance range of low-to high-end applications. The developed technology platform can be easily extended to the rapidly emerging millimeter-wave 5G markets as well as for complex radar systems. 2019 is looking to be an exciting year. C-COM expects to continue to uncover new markets and to add to the 100+ countries that already use the first-in-class iNetVu solution. The company is also aiming to sell the firm’s 10,000th unit soon— with any luck and with further improvements in sales, perhaps this can be accomplished before the deadline for the SatMagazine 2019 YEAR IN REVIEW. This article contains forward looking information about C-COM and its products, including information about possible future events or C-COM’s expectations for its industry and its products. Such statements reflect C-COM’s current expectations and assumptions regarding future events but, as with all assumptions, they remain subject to certain risks. For more information please see the Forward Looking Statements section of C-COM’s most recent Management Discussion and Analysis available at www.SEDAR.com.